Let your brand and message be recognised all over the town! 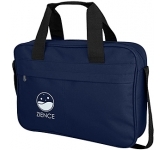 Using conference bags to promote your brand is an excellent idea. However, some companies fear that they are too rich for their blood. 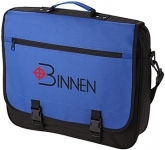 But, even with the higher cost than most other corporate promotional products, they are usually worth the investment. 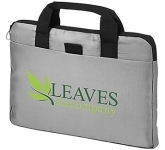 The very first thing you should consider about conference bags as promotional products is the fact that they are incredibly versatile. 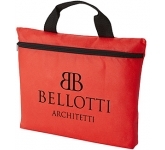 If you are organising an event and you want to make sure that people receive your promotional products well, then going with conference bags is ideal for you. Pretty much anyone likes to get a new bag. And, that goes double for professionals who actually need them for work. 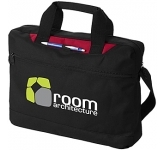 When and where can you use promotional conference bags? 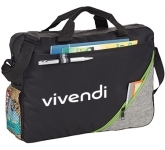 The freedom of physical marketing means that you can use branded conference bags literally everywhere. Any event that you participate in or organise can be an opportunity for you to reach more potential clients. And, versatile gifts are always welcome with the customers. 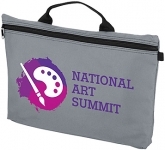 However, we still have to mention that these printed conference bags are ideal for trade shows or as financial promotional products. People love getting them, they are doubly useful, and they can boost your brand. Everyone who needs to carry around papers, files, and folders at work can never have enough bags. 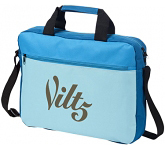 Furthermore, bags offer instant value to your attendees due to the fact that they can immediately start using them. They can carry the gifts they got from other companies in your bags instead of in their hands. Nevertheless, let's take a look at the value they offer to you, instead of just looking at the value the customers get. Attending trade shows, is all about being seen. And, if you want people to notice you, you will have to brandish your brand as much as you can. Thanks to conference bags, you can do that rather easily. 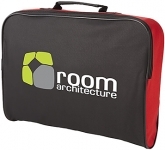 Conference bags have a large, flat surface that is perfect for your logo or tagline. 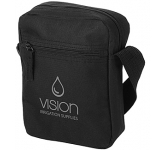 The area you get to use with these bags will help you increase the visibility of your brand. 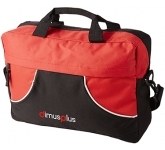 Furthermore, branded conference bags are excellent gifts that can overshadow your competition. The reason for that is simple - your logo will be the only one showing. 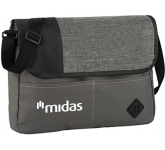 If you decide to go with conference bags, the attendees who receive the bags will more than likely use them to carry around the swag they got from other brands. 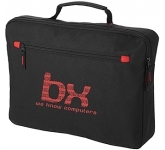 You can also use the bags to add other promotional items in. You probably know that being seen at a trade show isn't the only, or the most important thing for your business when it comes to promotional giveaways. So, if you want to truly promote your company, you want the products to do the work for you. And, all research shows that high quality promotional products are better at that than any other form of marketing or advertising. As always, the trick is in targeting the audience properly. 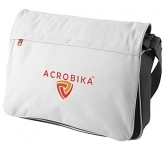 If your target audience consists of professionals who work in large offices, go with promotional conference bags. These people usually have to carry around a lot of documents, files, and even devices such as laptops. So, give them something which they can carry those things around. And, in the process, make sure that all of their colleagues see your logo and your company's message every time they pass by. As we all know, that can happen up to a dozen times per day with ease! 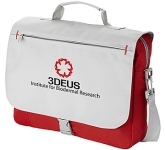 If you are giving away promotional conference bags, you can use them any way you want. 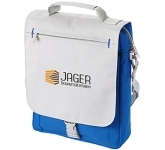 For example, you can include additional hidden gifts inside the bags such as promotional pens, printed power banks or printed keyrings. 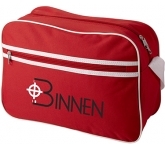 That way, you can pleasantly surprise your customers once more when they open the bag to see more free gifts from you. 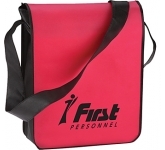 You can add notebooks and pens along with your informative materials before you give these printed conference bags to your potential customers. 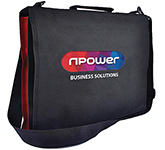 We have said that some companies express fear over the cost of branded conference bags. However, that fear is definitely misguided. For starters, they are not nearly as expensive as people seem to believe. 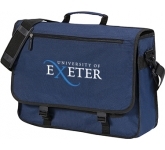 In fact, if you take a quick look at our offer, you will notice that you can get great-looking printed conference bags for less than a pound per piece. And, since the investment won't be that significant, the return is all but guaranteed. 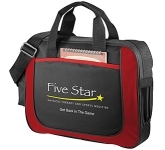 All studies show that promotional products are superior to online marketing by a mile. For starters, the fact that a potential customer has your bag significantly increases the odds of them doing business with you. 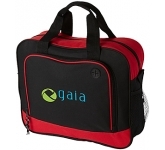 And, if they only do it once, and they use the least expensive service you offer, the bag has already paid for itself. However, the truth of the matter makes the situation even better than that. 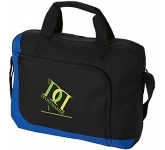 The mere fact that they have your bag will serve as a reminder of your company. So, it is very likely that they will come to you over and over again. Furthermore, they will promote your company among all of their friends and colleagues. 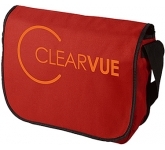 The number of impressions you get by using branded conference bags is simply incredible. 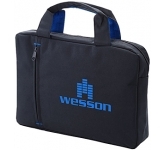 And, unlike many other promotional products, this one is capable of targeting people from specific walks of life. 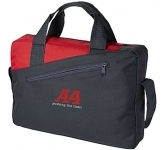 If you go for a serious-looking promotional conference bag, you can ensure visibility with working professionals. 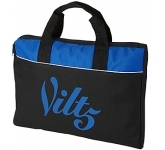 But, if you go with conference bags with more of a sporty design, you can get an entirely different effect. 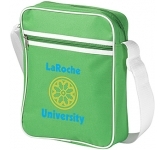 You can use designs that are more appealing to gym goers, commuters on public transport or students attending university. 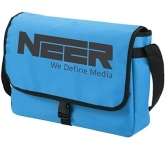 If you are organising branded corporate trade show giveaways and you want to generate a lot of foot traffic around your booth, you should definitely consider using printed conference bags as your giveaway items. People will swarm in large numbers to get to them. 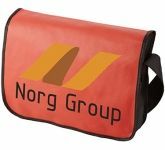 Furthermore, research shows that 4 out of 5 people keep their promotional products for up to two years after the promotion. That amount of exposure is not something you can get by using Facebook or Google. 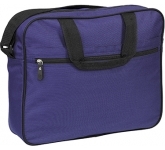 And, if you consider how inexpensive these bags can be, there is no reason for you not to use them. 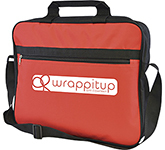 We offer a variety of printing options on our vast range of branded conference bags from screen printing right through to the very latest in UltraHD photo print technology allowing us to reproduce full colour images and logos to a standard most suppliers can only dream of. 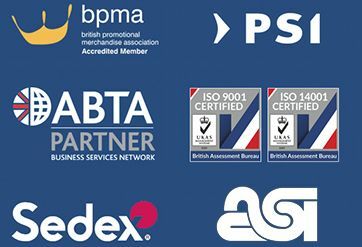 So, if you are looking for low cost, budget, bulk discount, value or cheap printed conference bags, and happen to find the same promotional bags cheaper, with the same print specification and turnaround, just let us know and we will match the price and back it with our industry Award Winning Customer Service - that's our guarantee! 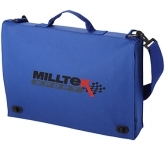 For additional information on our extensive range of promotional bags or how to use promotional products effectively to benefit your marketing efforts, why not contact us and have a chat to one of our dedicated account managers who will be happy to advise you further.